RedLeg Spiced Rum is a popular Rum available from Tesco Groceries in 70cl to buy online. Visit Tesco Groceries for the best price for 70cl of RedLeg Spiced Rum or compare prices on our other Rum products. RedLeg is a spiced rum made with Caribbean spirit. The secret to the great taste of RedLeg is all in the blending. A selection of the best rums from the Caribbean are left to rest in oak barrels and infused with Jamaican ginger and vanilla spices. Tasting Notes: An instantly sweet smell is followed by a warming ginger aroma, this satisfying combination of sweet and spice creates a rum with an incredibly smooth taste, and a warming mouth feel. 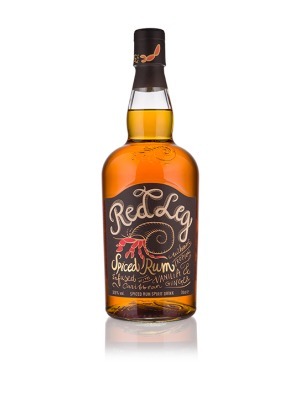 Where to buy RedLeg Spiced Rum ? RedLeg Spiced Rum Supermarkets & Stockists. You can buy RedLeg Spiced Rum online in most retailers and find it in the Rum aisle in supermarkets but we found the best deals online for RedLeg Spiced Rum in Tesco Groceries, Waitrose Cellar, DrinkSupermarket.com, TheDrinkShop, and others. Compare the current price of RedLeg Spiced Rum in 70cl size in the table of offers below. Simply click on the button to order RedLeg Spiced Rum online now.